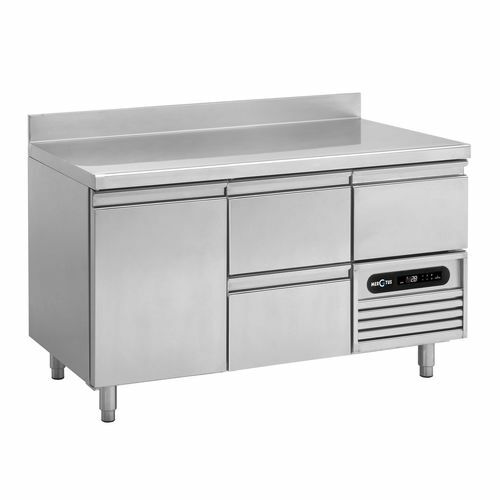 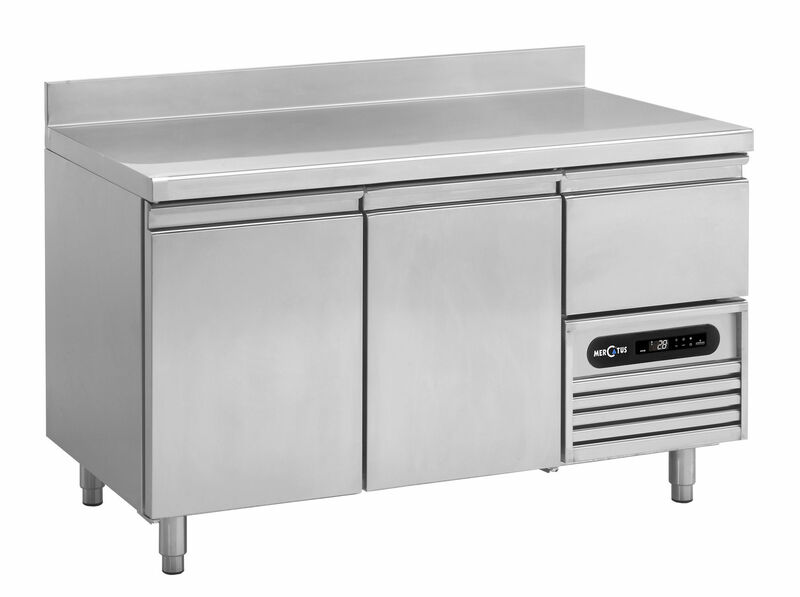 Commercial refrigerated counter - GASTRONORM - L2 1320 - Mercatus S.A.
Public buildings > Commercial kitchen > Commercial cooling table > Mercatus S.A.
GASTRONORM - L2 1320 Mercatus S.A. Designed to preserve perishable foodstuff such as fresh meat, wet fish and other delicate products. 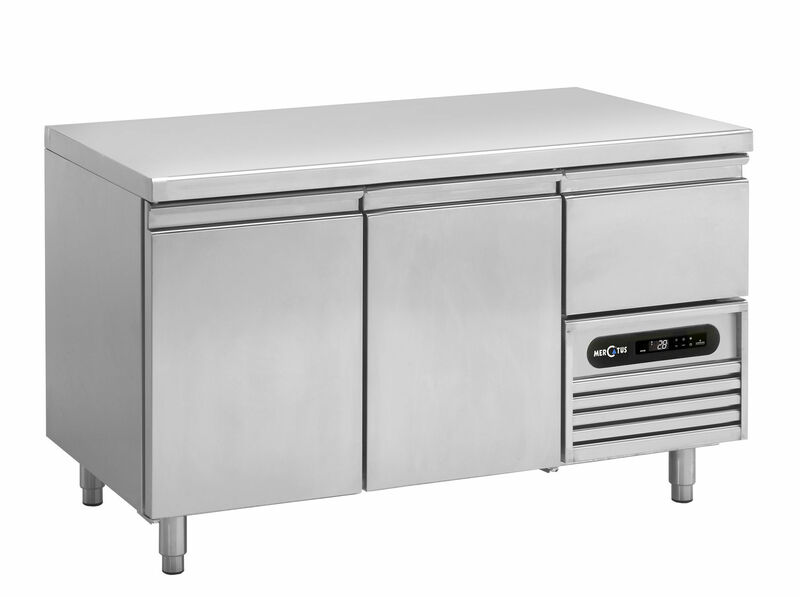 The high relative humidity provided by the large evaporators placed between doors, and the choice between static or ventilated mode, make the L2 the ideal unit for the professional kitchens. 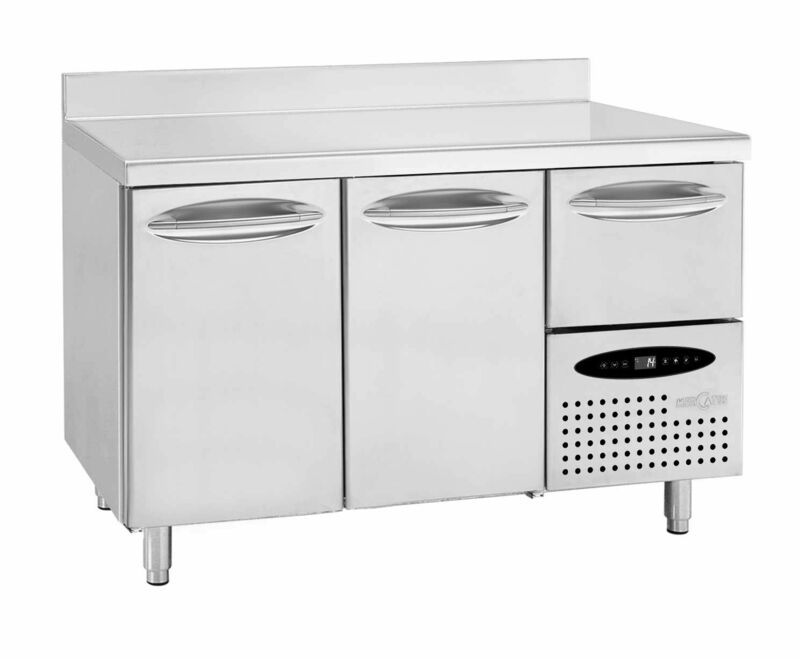 Versatile: multiple options (e.g. glazed doors, various drawers, refrigeration unit mounted on the left or right hand side, sink and tap for professional use, worktop without splash back) are easily combinable to optimize the organization of the workspace.